Who but Inserch can mix rich plaid fabric and micro suede and create a two piece casual walking suit that is just plaid stylish. Inserch has been keeping grown men looking their stylish best with their always classy and never flashy walking suits that are ready for the party. 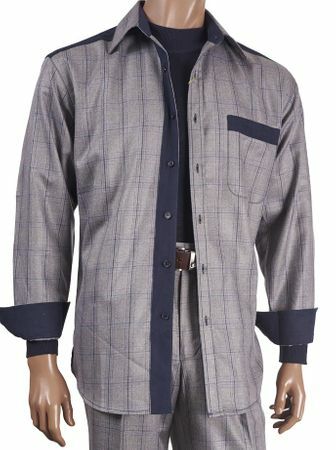 Made of grey plaid fabric with blue suede trim. Pleated Pants.